This article is about the Class Champion Weapon. For the Premium Draw weapon, see Ascalon. A blade that responds only to a true swordmaster seeking to perfect their technique. One swing from its chosen wielder shall vanquish the darkness in a flash of light, and reveal the truth and path to enlightenment. 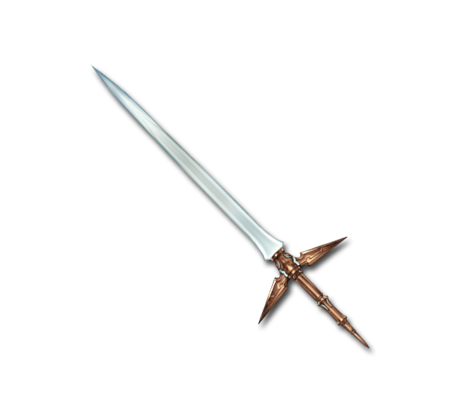 This weapon was originally named Ascalon but its name was changed to reduce confusion with the Premium Draw weapon of the same name. Aschallon could be named after either Ascalon, the weapon used by Saint George to kill a dragon, or Ashkelon, a city in Israel and the origin of Ascalon's name.